'It was phenomenal': designer Matthew Williamson on dressing Kate | HELLO! May 09, 2016 - 14:42 BST hellomagazine.com 'The Kate effect' in full force! She's arguably the most influential person in fashion, so it was a big moment for Matthew Williamson when the Duchess of Cambridge, née Kate Middleton, stepped out wearing his design. And the effect her appearance had on his brand was 'phenomenal'. Speaking to HELLO! Fashion, the designer, who has a new collection with Debenhams, said: "The dress she was wearing sold out straight away. We just couldn't make enough, we sold out of everything we had!" Matthew was aware that she might be wearing one his designs – he revealed he had amended it for her ahead of her appearance – but he didn't realise it was going to have such a huge effect. "It's absolutely incredible," he told us. "It's a huge boost globally, and she just has enormous reach. The recognition of your name goes around the world instantly. "I don't know anyone else who could do that!" 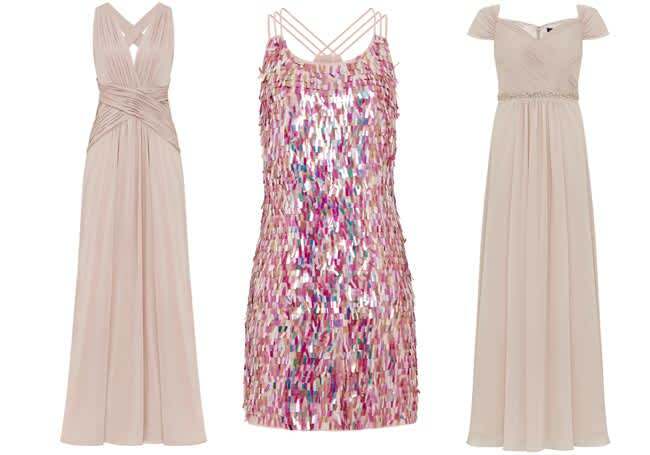 Matthew, who has been designing collections for Debenhams since 2001, has created a new range of event dresses for the department store, bringing his signature glamour to the high street. Speaking about his partnership with the high street brand, he said: "Debenhams feels like my high street home where we have a formula and it works. "I love that my brand can reach a bigger audience. I've never been elitist in my approach and in my life, I love a mix of expensive pieces and more affordable items." "My most loyal customer is an 85-year-old woman who lives in the Bahamas and consistently gives us feedback on our collections!" His mum, 68, also refuses to wear anything but Matthew Williamson... So cute. The overall vibe of his brand, he told us, is "about celebrating women and optimism and having fun... The clothes are supposed to be about having a great time." Hear, hear! Apart from the Duchess, another famous face who has a huge influence in the fashion world is Kim Kardashian. But what does Matthew think of her style? "She wears a lot of Balmain – I think Olivier [Rousteing] is a brilliant designer and they've clearly established a great partnership. It's kind of like she's his muse, like Sienna [Miller] was mine."